How do I enable Pantheon notifications (e.g. for a certain application)? 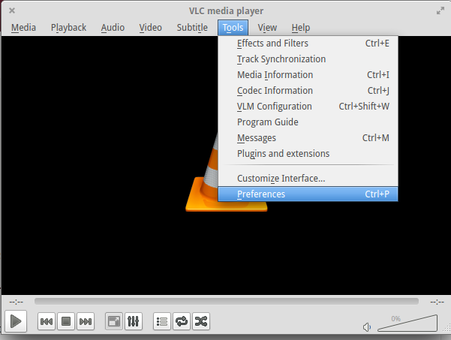 By accident I removed the ability for notifications while using VLC (with dconf editor), and would like to know if I'm able to rectify the mistake. Open menu Tools > Preferences. 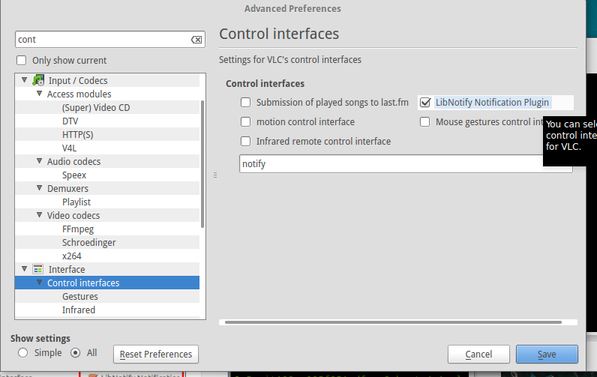 Now, under Show settings, select the All radio button. Then, from the left sidebar, choose Control interfaces. There, check the LibNotify Notification Plugin checkbox, then click the Save button. By default the notification appears for 4000 ms, i.e. 4 seconds. You can change this duration in the same preferences window, by selecting the Control interfaces > Notify option in the left sidebar. Not the answer you're looking for? Browse other questions tagged notifications vlc or ask your own question. What is 'Unknown' in Notifications?